Recently the temperature is so high. And it is muggy. So, I can’t go to Tsukiji at lunchtime across Kachidoki Bridge. The temperature is over 25 degrees Celsius and it is over 30 degrees Celsius in the noon. But such a figure is measured in the shade on the ground. So I think around Tsukiji might be near 35 degrees Celsius or more because it is in the sunny place and on the concrete-road. Well, I can go there in the morning ! 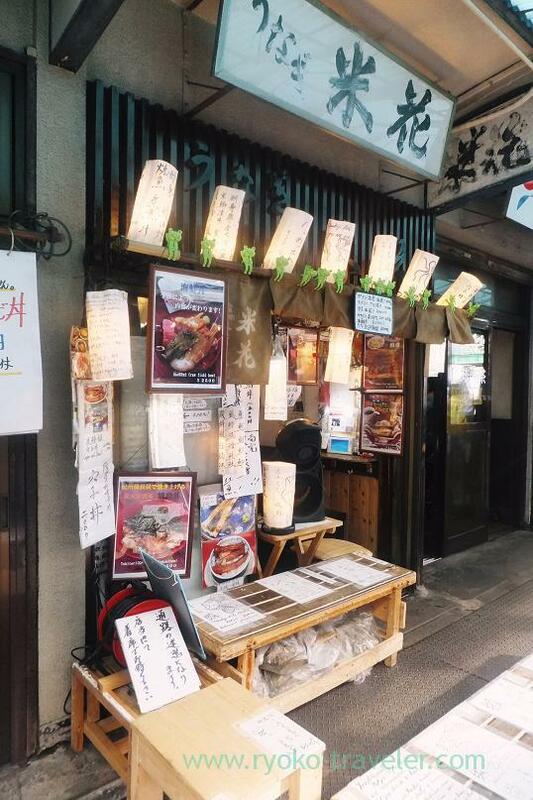 So, I had breakfast at Yonehana that day. 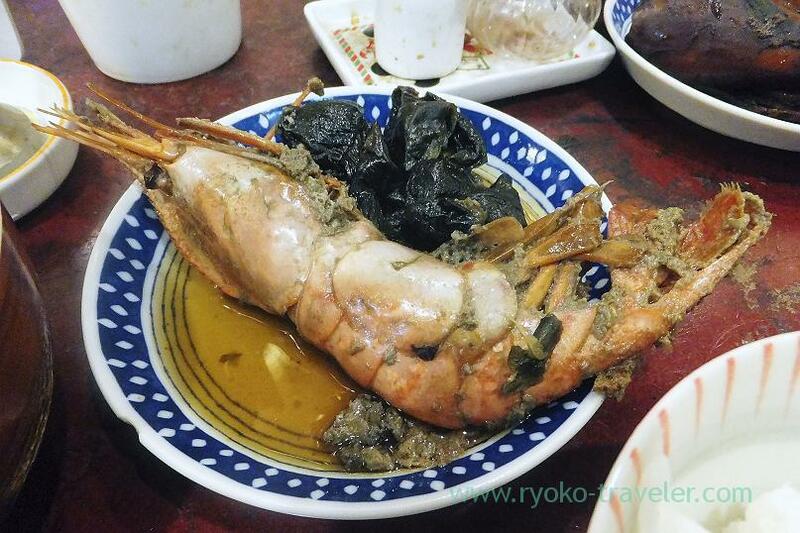 Yonehana is the best choice for me to have breakfast in its quality and valuable price. 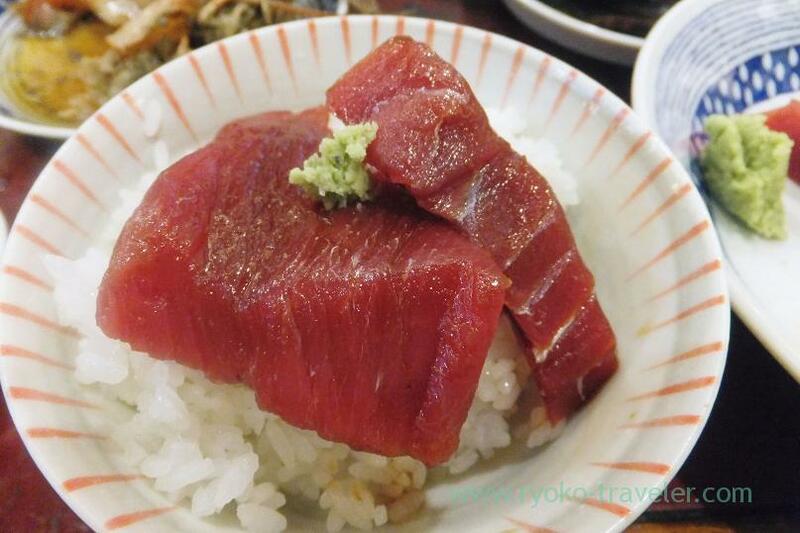 Yonehana often serve tuna sashimi as chef’s choice these days. 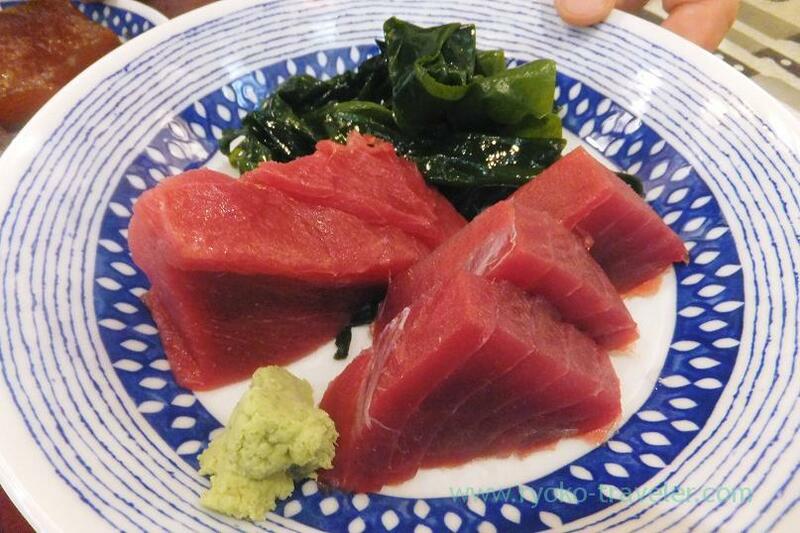 Yonehana’s sashimi is so thick as I always say. Those slices could stand by themselves ! 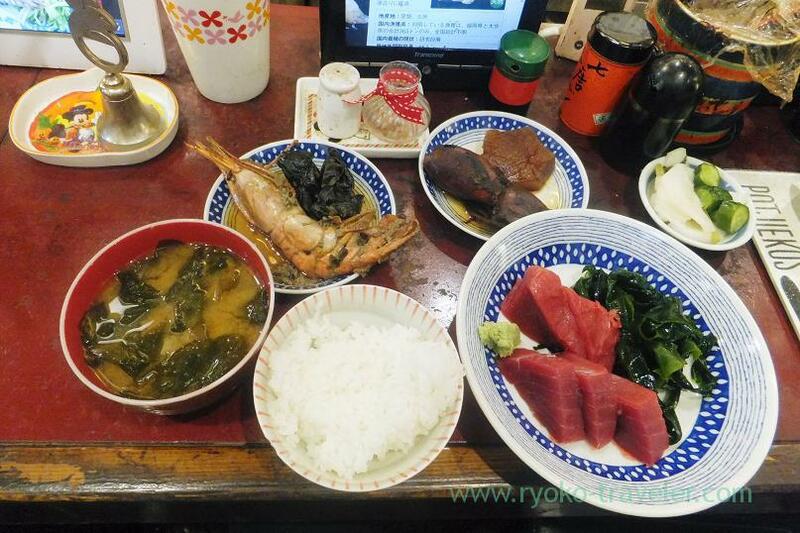 Tuna sashimi, boiled squid and daikon radish, boiled prawn and eggplant, rice, miso soup and pickled vegetables. So healthy breakfast that I had ! When I got out of Yonehana, I found it was already over 30 degrees Celsius ! It was still before 8 a.m. ! Oh my ! Wish I could have sushi and shrimp for breakfast:) Your new blog looks amazing. Congratulations!